There can be no doubt about the oppressive effect on an entire generation of Chinese artists that the 1966-1976 Maoist Cultural Revolution wrought, nor the sense of liberation that its passing – only with the passing of Mao itself – brought to that same set of artists. We have spoken previously in our ‘Artist of the Week’ feature here at Addicted Art Gallery of the many Chinese artistic greats whose gifts to the wider world could only be shared at a much later stage than may have otherwise been the case. The subject of today’s blog postisn’t one of those artists, but nonetheless greatly benefitted from the hard-won insight and wisdom of one who was. We are, of course, referring to one of the most respected Chinese contemporary artists of today, Lu Hong, who may have never reached that level of esteem without the timely intervention of his uncle, the painter Ting Shao Kuang. Before we go further, let’s go back to the beginning. 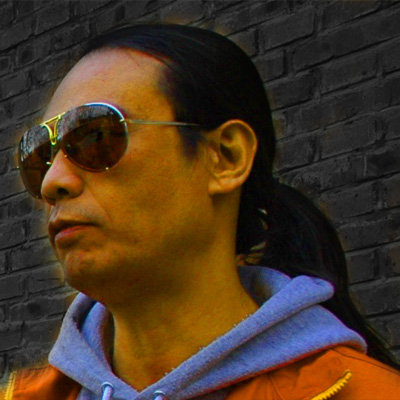 Lu Hong was born on December 28, 1959, in Qin-Huang-Dao in the northeast of China. During the first decade of his life, the Cultural Revolution took hold, with the country’s many creative talents among its victims. All of a sudden, no artistic practice based on anything other than traditional Chinese painting or the depiction of propaganda was permitted, which forced the country’s more Western-minded artists to keep a very low profile, hiding or even burning their work if that was what was required to avoid the prying eyes of the authorities. By the time the young Lu Hong was contemplating his next steps after high school in the late 1970s, however, lines of communication to the outside world were finally beginning to reopen. It put the youngster in a unique position of opportunity that even he may not have fully appreciated at the time, admitting later that, “All my life, I was forced to think and act a certain way”. This wasn’t just any old ‘Uncle Ting’, however, but instead one of the key forces behind the Yunnan School, the art movement grounded in one of China’s most mythically rich provinces and which was already becoming world-renowned. There couldn’t be a better man, then, to spot the fledgling Lu Hong’s artistic abilities and take him under his wing. Lu Hong moved in with Ting at the conclusion of his high school years in 1979, proceeding to benefit from his tutelage until the older man’s immigration to the United States early the following decade. No matter, Lu Hong had already learned many of the most important lessons that he would have to learn, as he went on to secure a place at the prestigious Central Academy of Fine Arts in Beijing. Even the young artist’s disillusionment with the academic constraints of life at the Academy, and his resultant departure only one and a half years after admission, couldn’t prevent the rapid momentum in his creative development that ‘Uncle Ting’ had done so much to set in motion. 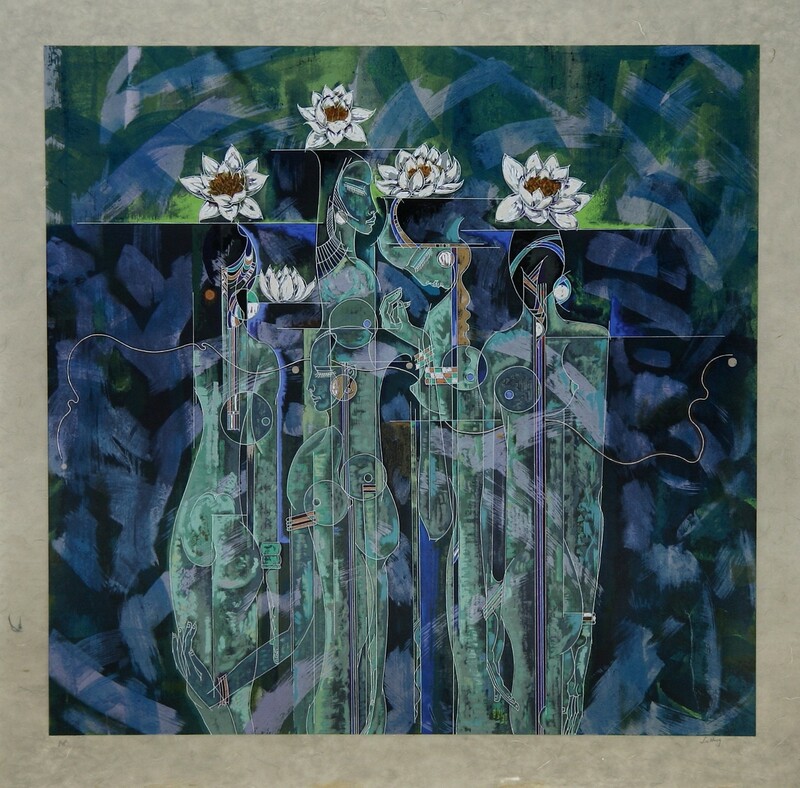 From 1983 to 1986, Lu Hong undertook the experimentation needed to truly find his voice as an artist, absorbing the Western influences – from Picasso and Modigliani to Paul Klee – that he would have been denied during this integral stage of his development if the Cultural Revolution had remained. Those influences also encompassed the classical music of Chopin and Wagner, as well as Western poetry, literature and psychology. Today, it seems almost inevitable on the basis of the calibre of his highly original work – often taking the form of water-based paintings on delicate rice paper – that Lu Hong would become one of his country’s most celebrated contemporary artists, with a stellar exhibition profile around the world. 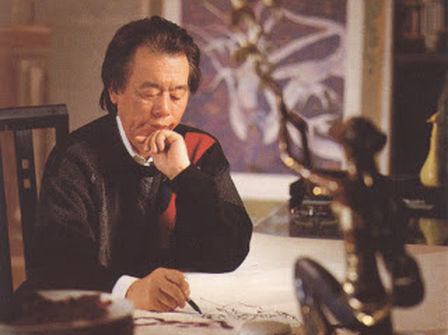 However, no artist’s success or acclaim can ever be presumed in advance, and one can only be incredibly thankful to the similarly legendary Ting Shao Kuang in helping to nurture and give this particular, amazingly multi-talented artist to the wider world.